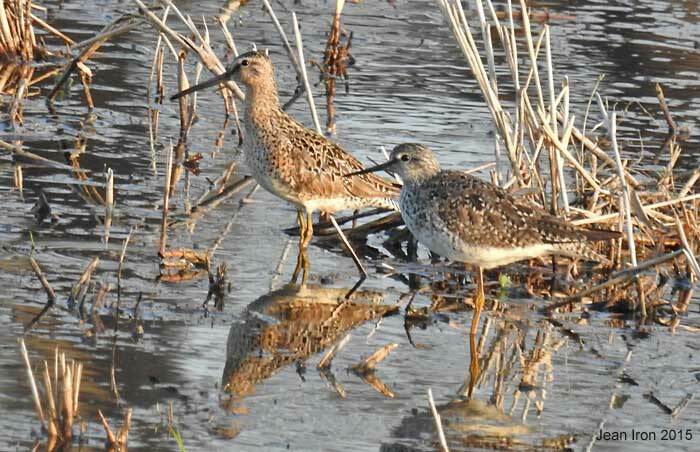 Eastern subspecies (nominate griseus) of the Short-billled Dowitcher (left) with Lesser Yellowlegs on Mersea 1 on 7 May. This bird is griseus in breeding plumage. Note that the upperparts feathers - scapulars and mantle - are breeding plumage feathers. 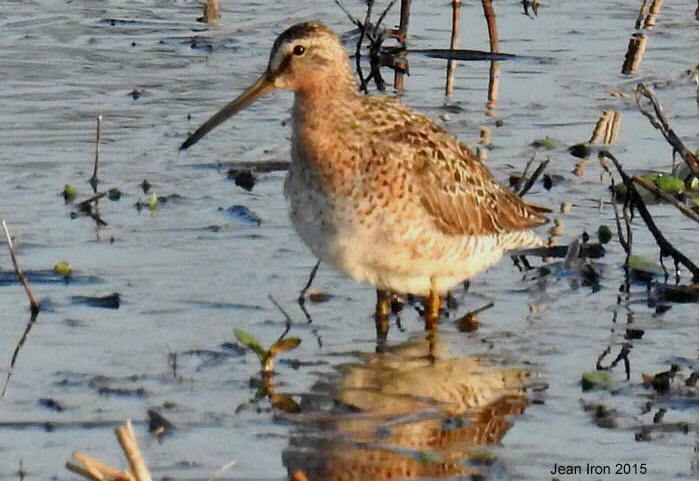 It has a light wash of cinnamon on the neck/breast, with the belly being mainly white, unlike Long-billed Dowitcher in breeding plumage which is brightly coloured from the neck to the undertail coverts and has well-formed bars on the side of the breast. The hendersoni subspecies of Short-billed Dowitcher is brightly coloured to the undertail coverts.